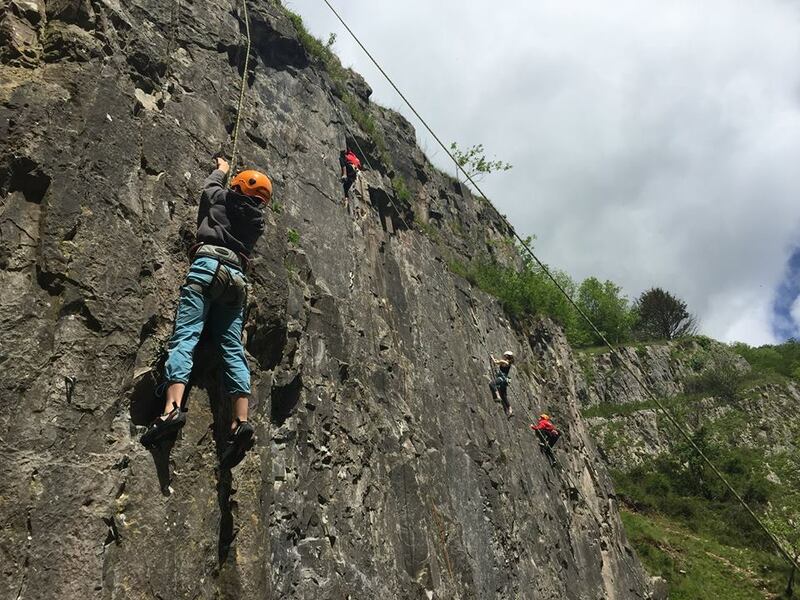 After the success of the Portland rock trip over the Easter Holidays Be Climbing put together another trip aimed at the White Spider Performance Squad to Cheddar Gorge in Somerset. The aim of the trip again to provide rock climbing coaching to the squad. As with Portland, Cheddar Gorge offers us a great venue to coach rock climbing. 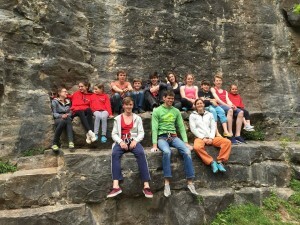 Working on key climbing skills within the Squad, confidence, footwork, technique and route reading. The day started off with a combination of Lead Climbing and Top-roping at Overshoot wall. A lot of these climbs are polished and technical affairs, revolving around laybacks, pinches and smearing on delicate footholds. Many climbs feeling quite hard for the grade and definitely not a line of jugs. 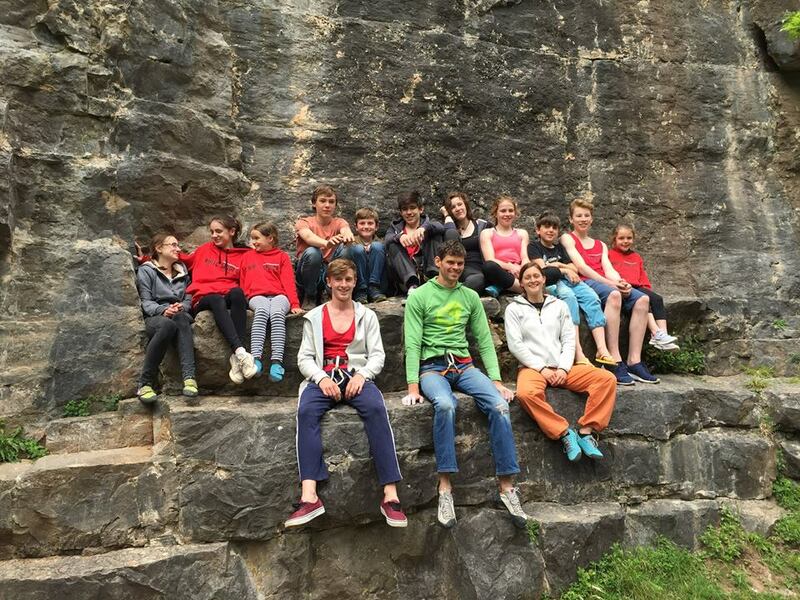 Many of the squad put in their first serious outdoor leads on these technical climbs. Showing an amazing technical ability and confidence, often on slightly run out terrain. The next challenge was a short and boulder 7a called ‘Whose Line is it Anyway?’. With quite spaced bolts and small holds many of the Squad opted to top rope it first, almost all getting the route. Impressively Holly and Lucy both flashed it to get their first 7a outside! 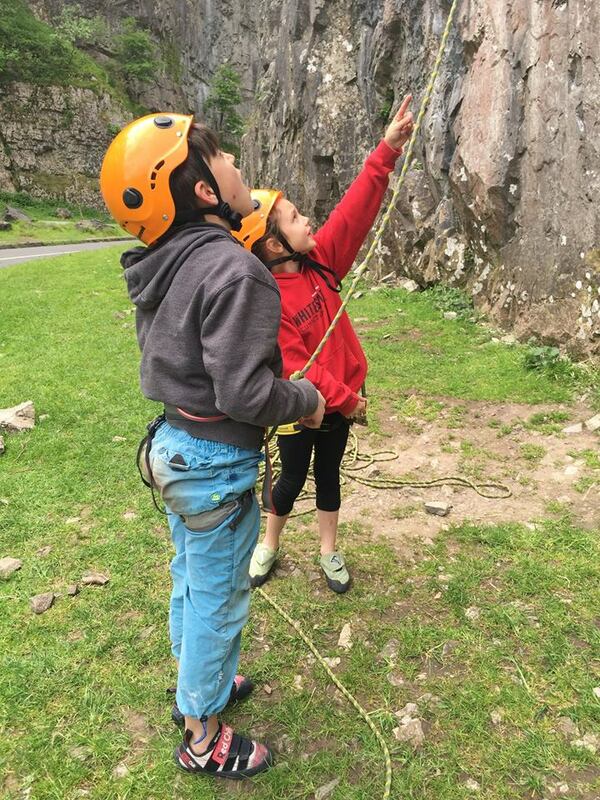 Nat however couldn’t resist the lure of leading it and quickly redpointed the route for his first 7a lead outside! The next venue chosen was the Wave. A short and steep cliff further down the gorge. The routes here offer a much more powerful climb than the previous area. The two routes in particular of interest to the White Spider Squad here were Raw Deal, a steep and powerful 7a and Insatiable (7b+), likewise a steep and hard route. With the routes only being 8m long, they all packed a punch. Raw Deal proved a tough battle for many of the squad, all of the squad putting a great performance, many falling off the last dynamic move. Nat once again stood out on this climb onsighting it on Lead to make it his first 7a onsight outside! Also of particular merit on this climb was Mat who just missed the onsight and Ollie who also fell on the last move after giving the route everything he had. Once again the White Spider Squad has amazed both myself and Be on how well they can transfer their indoor skills to the complex game of rock climbing. 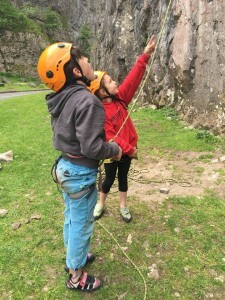 We’re both looking forward to more rock climbing coaching with them this summer!